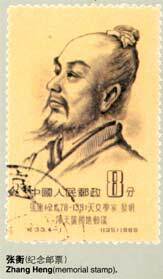 Zhang Heng, (78 AD - 139 AD), was a native of Shiqiao of Nanyang, Henan Province. 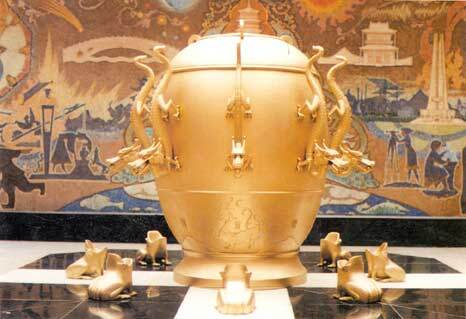 He was a famous man of letters and scientist in the East Han Dynasty in the Chinese history. His works include Ode to the West Capital, Ode to the East Capital and 22 pieces of other literary works. He became a court official in 111 AD and was assigned as the court historian afterwards. He invented the armillary sphere and the seismograph. Guo Moruo (an outstanding litterateur and scientist in modern China) praised him as“such an all-around developed figure that was seldom seen in the world history”.